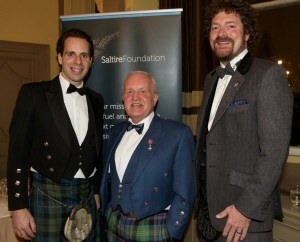 John Watson was honoured to give the keynote speech at the prestigious Saltire Foundation Aluminate Dinner in Edinburgh. The Saltire Foundation has long been admired by John for its outstanding work in promoting entrepreneurial activity and funding training opportunities. 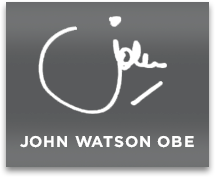 This ensures over 200 specialist students receive placements around the world. In our picture John is flanked by two individuals he admires greatly – namely Mark Beaumont (left), the record breaking cyclist and accomplished broadcaster and documentary maker not to mention established author! Also pictured on John’s right is Chris Van Der Kyle, interactive digital entertainment leader and entrepreneurial Chairman of 4J – the globally-renowned studio which created record breaking “Minecraft” on Xbox 360, PlayStation and Xbox One. The event took place in the company of 250 guests in the splendid surroundings of the capital’s Balmoral Hotel.